Every team needs a hero, and in baseball there is one player that holds the ultimate responsibility of being that person, tasked with finishing out the victory. In 1969 baseball instituted the save rule. It stated that a save is accredited to the relief pitcher that finishes a game for the winning team under certain prescribed circumstances, which is typically a three or less run lead. Since its implementation, the closer has become one of, if not the most important role in baseball. Teams with a great closer have the ultimate confidence that when the pressure is on and the game is close, their closer will seal the deal. They often are some of the most eccentric characters in baseball, armed with awkward deliveries or flaming fastballs intended to strike out the final three batters, slamming the door shut on any last-minute comeback attempts. There’s even a popular TV show on HBO parodying the eccentricities of the cliche baseball closer, Eastbound & Down, with lead character “Kenny $#^*in’ Powers” as a John Rocker-esque oddball. Part of the Oregon baseball swagger, and a large part of their success this season, lies in the fact that all of the offense and starting pitching staff know that they have Sherfy in the back end of the bullpen. 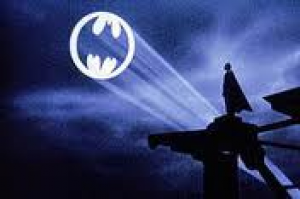 If the pitching and defense get shaky, all coach Horton has to do is break out the ‘Sherfy signal’ and he can come to the rescue. The sophomore hailing from Camarillo, Calif. leads all Pac-12 pitchers in saves. Sherfy currently has 16 of the Ducks conference-leading 19 total saves this season. From a conference perspective, UCLA is the second place team in terms of total saves (13). Sherfy has more individual saves than the entire Bruins relief staff. He has been called upon to pitch 51 innings this season, accumulating four wins with an incredible 78 strikeouts (most on the team) and the fourth best strikeout ratio in the conference. In addition his 2.29 ERA is fourth best on the entire pitching staff. The other three ahead of him (Keudell, Housey, Thorpe) have a combined 153.2 innings pitched. In those 51 crucial innings, Sherfy’s numbers show that if a team has made plans to make a comeback, they quickly realize they are facing a villain slayer. Jimmie “Sher-fing (Sure Thing)” Sherfy has allowed his foes to hit only .174 once he takes the mound. Jimmie Sherfy is UO’s closer, there’s no secret about that, but in college baseball there is not a relief pitcher that is officially designated as “the closer,” (like Major League Baseball) but let’s call it what it really is; the numbers would suggest that he is the Ducks closer. When Sherfy takes the mound, they might as well start the postgame show then and there, or turn the lights off. Game over. In the seventh inning or later, Jimmie Sher-fing has made 27 appearances, which is more than any other reliever on Oregon’s staff. In 26 of the 27 appearances, he has ‘finished’ a game for the Ducks (relieved the pitcher who was supposed to get the save). Based on his superior sophomore season, it appears as though Sherfy has been saving his teams from danger for a long time, but he hasn’t. It may be surprising to know that the role of danger-savior is literally brand new to the Ducks pitcher. It is an opportunity that may not have ever happened if Oregon did not have a legendary baseball eye in George Horton. Jimmie Sherfy came to Oregon from Thousand Oaks, Calif. where he played prep baseball at Newbury (Park) High School, a teammate of former Duck Jack Marder. In his 2010 senior season he helped Newbury make the playoffs with a 19-10 overall record and 9-5 mark in the Marmonte League. As a result of his solid season, he was named to the first team all-Marmonte League after going 8-1 on the mound in 12 appearances. To culminate a great senior season, Sherfy pitched two complete games and finished with a 2.25 ERA with 72 strikeouts. As a result of his remarkable high school career, he was ranked the 50th top recruit in California. With numbers like that, Horton would be a fool not to place Jimmie Sherfy in a critical role as a freshman in 2011, even Sherfy was convinced he would play a solid relief role in his first season at UO. 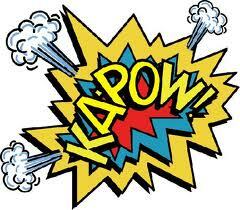 However, that’s not the way the story unfolded. 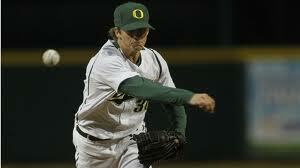 Believe it or not, the closer that has become Iron Man for the Oregon bullpen in 2012, was actually Mr. Irrelevant as a freshman in 2011. No…there’s no more, that’s literally where Jimmie Sherfy’s freshman stats end, a single irrelevant sentence. Sherfy was not happy with that, who would be? Instead of throwing a temper tantrum and transferring to another school, he did one better, he got motivated. He went up the road to Corvallis and played summer ball with the Knights. In fact, he worked so hard that he helped Corvallis win the West Coast League championship as the Knights made the playoffs after finishing on top of the West Division standings. Sherfy was 1-0 with a 2.16 ERA, threw 16 and two-thirds innings, striking out 18 hitters. As a result, the kid that the Ducks put on the back end of the bullpen was ranked the number nine prospect in the WCL by Baseball America and was ranked the seventh best prospect by Perfect Game. Scouts even considered Sherfy to have the best breaking ball in the league. Fast forward to the 2012 season; Mr. 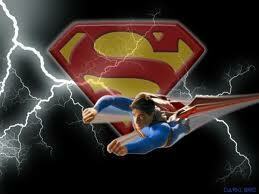 Irrelevant from a year ago is currently Superman. The young kid that came to Oregon from Thousand Oaks was almost convinced he came to Eugene to end his baseball career. Jimmie Sherfy was the only member of Ducks baseball that knew he could give so much more, and as a result of his skill, and Coach Horton’s trust; Jimmie ‘Sher-fing’ Sherfy leads the conference in saves and is fourth in the pac-12 in strikeouts. He leads his team in appearances and strikeouts and has the third best ERA on the team. Not irrelevant anymore is he? The teenager that barely stood up in the Ducks bullpen last year, let alone threw in it, is now being considered for four prestigious baseball awards in 2012. He is nominated for the College Baseball Hall Pitcher watch list, National Collegiate Baseball Writers Association Stopper of the Year watch list, Pac-12 Player of the Week for February 21 and College Baseball Insider West Region Pitcher of the Week. To cap off a remarkable season, Sherfy accepted an invitation to play for the 2012 Collegiate National Team on May 16. The team begins play later this summer. With the Ducks offense clicking, starting pitchers going deep into games and closer Jimmie Sherfy making hitters look silly and saving close games, UO is ranked number six in the nation (41-14, 19-8) with five games left to play (Portland and Oregon State). With the Beavers also ranked in the top-25, if the Ducks can finish the season strong, they could end with a higher seeding. The first round of the College World Series Regionals begin on June 1 at TD Ameritrade Park in Omaha and the Ducks will be there, but until then, the Ducks still have two questions left to answer. First, what will their final numerical ranking be? Second, will the ‘Sherfy signal’ be a carry on item or will they check it at baggage?